Alexis Ostrom poses with the buyers of her Grand Champion Beef Steer, which sold for $12,325. 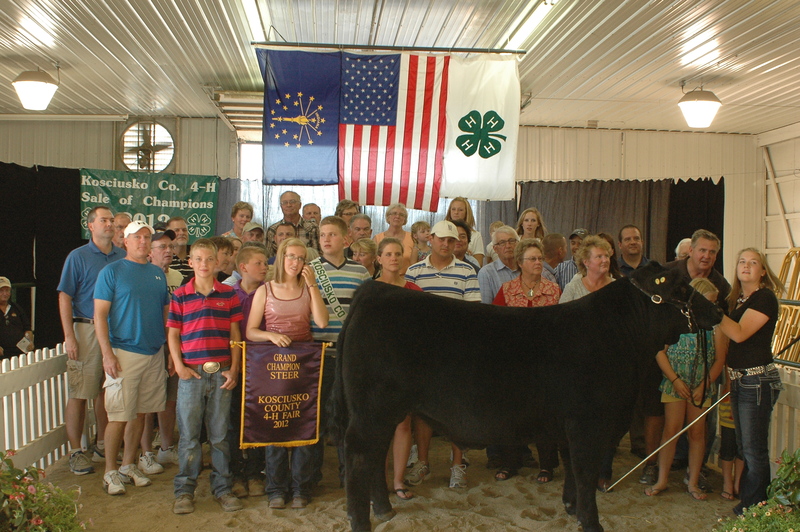 The 10th annual Kosciusko County Community Fair Sale of Champions saw the exchange of $65,575 as 4-H members sold their Grand Champion and Reserve Grand Champion livestock projects. Kosciusko County 4-H Queen Madeleine Pacheco awards her Queen’s Kiss to her little brother. Proceeds will benefit the KCK9s 4-H Dog Club. The kiss sold for $1,850.